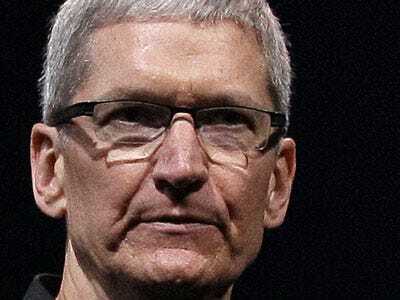 Apple’s 2-hour shareholder meeting is today in Cupertino, California.The meeting recently adjourned and during the Q&A, Tim Cook was asked about Apple’s tanking stock price. He added that Apple has some exciting things in its pipeline. “We are in markets that are fast growing … Obviously we’re looking at new categories — we don’t talk about them, but we’re looking at them,” Cook said. “It’s been an incredible year of innovation at Apple,” he said, noting that the company grew about $48 billion during the last fiscal year. That’s more than Google, Dell, Microsoft, HP, RIM, and Nokia combined.